The new Spa at Elbow Beach is Bermuda’s ultimate experience. 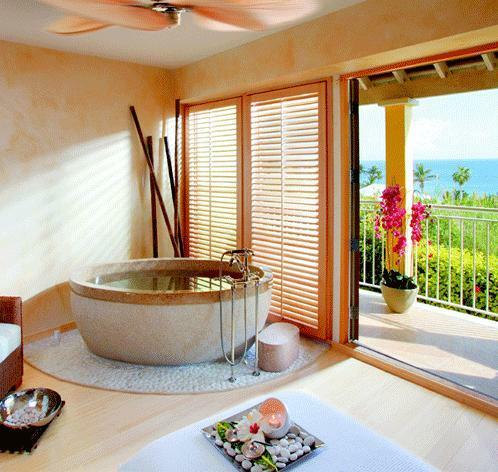 Stunning ocean views from individual balconies are the perfect backdrop to the Spa’s six private spa suites. Every one is decorated in soothing colours and organic textures, and features a hand-crafted, granite soaking tub, bamboo flooring and a river pebble-lined steam shower. It’s a haven of utter tranquillity in which to enjoy superb holistic treatments from the Spa’s team of highly trained therapists.